Friendly little parrot. He likes peanuts! Pretty little Lora’s sure do make a racket when they want to. Squawk, squawk, squawk! The holidays are coming! Birds of a feather flock together. Cocktails and Mocktails! Mix up a pitcher and shake your tail-feathers! Pink lemonade with a splash of soda. Garnish with lemons, limes or strawberries over ice. Cheers….and a little more art making! All these years, I have been calling it a Magnolia. Which is a nice nudge to do some further research on our lovely gardens. Perhaps when my sister gets here? I can’t wait! (n.) the restless race of the traveller’s heart before the journey begins, when anxiety and anticipation are tangled together; a ‘travel fever’ that can manifest as an illness. I’m loving these new travel words! There is a whole range of unfamiliar terms that seem to be popping up if you do any sort of pre-tripping internet research. Novaturient (adj) A desire to alter your life, the feeling that pushes you to travel. Fernweh (n) Being homesick for a place where you’ve never been to. Here is a “pinable” version of the definition of “ resfeber” for you to add to your board when you get excited about experiencing some “Island Life”. Don’t be fooled: There aren’t actually 1,000 steps to trudge up at this popular tourist site and dive beach—only 67. You’ll understand the name once you climb back up the stairs with your wet scuba gear strapped on after an hour long dive. Located just north of Kralendijk on the island’s west coast, 1,000 Steps Beach boasts pristine turquoise waters and an impressive display of coral, sponges, turtles and fish. 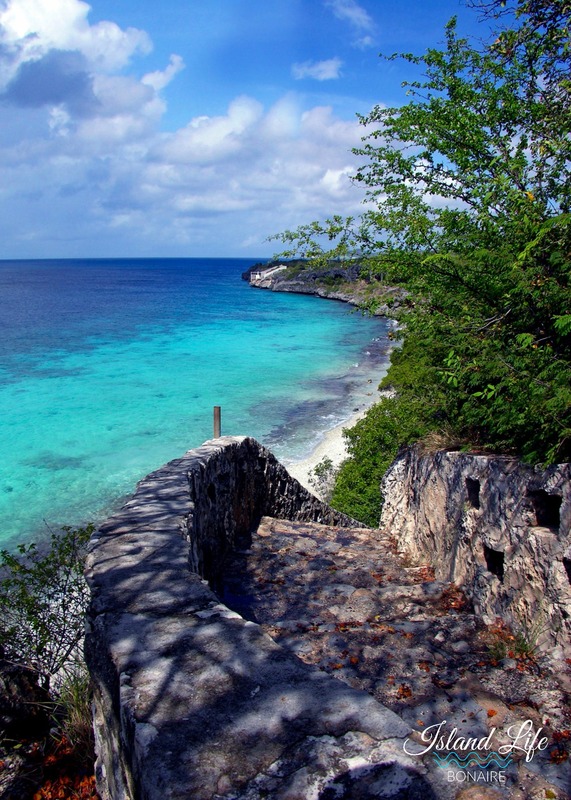 But even if you don’t plan on exploring the sea life, the view from the top of the limestone steps is worth the trip. The beach site exists of white sand and large chunks of coral rock, and the cove is surrounded by limestone cliffs. Nice place for a picnic if you bring your own everything. Donkeys were imported to Bonaire in the 16th century to work in the island’s salt trade, but as technology improved, their use diminished and the donkeys were set free. In 1993 Dutch Nationals, Marina Melis and her husband Ed Koopman, established a donkey sanctuary on Bonaire for sick, wounded and orphaned donkeys: Donkey Sanctuary Bonaire. The primary objective of Donkey Sanctuary Bonaire is to offer a sheltered, protected life to all the donkeys of Bonaire. Their information about the lives and experiences of donkeys is also raising awareness amongst the local community, schools and tourists. You are very welcome to visit Donkey Sanctuary Bonaire. They are happy to welcome you in their little shop and tell you about the work that they do. Here you can also buy nice souvenirs of which all profits of course benefit the donkeys. Next you can make a tour with your own car amongst the hundreds of donkeys in the big park. The animals will gladly come over to meet you and to put their snouts through the car windows, hoping you brought them something nice to eat. If like you can buy carrots from the shop to feed to the donkeys. If you do so, you will definitely make many new friends in a minute! The special care meadow is only accessible by foot. Here you find the donkeys that need extra care, for example because of an injury or illness. Also moms with their foals and little orphaned foals that they raise by bottle feeding them are in this meadow. 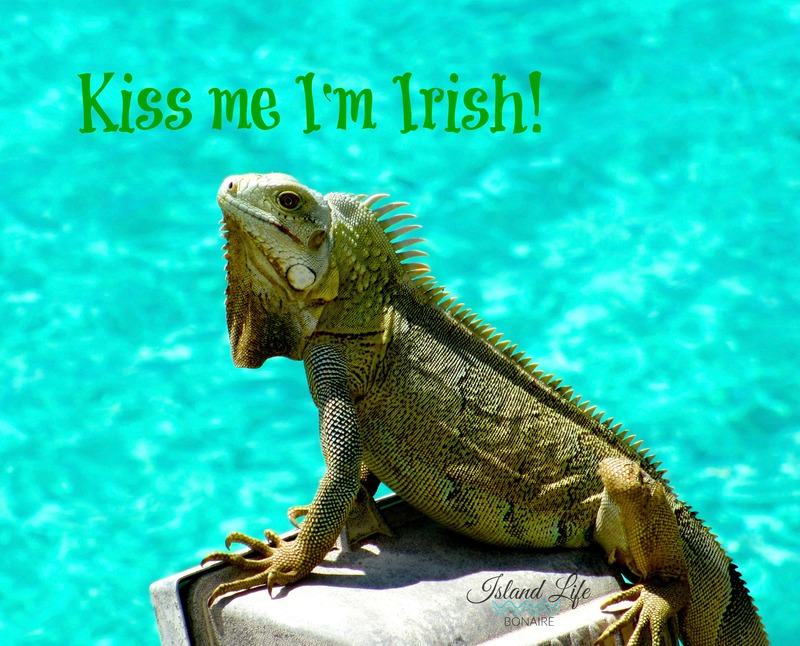 Besides they have a garden where you can admire iguanas and tortoises. At last you can order a drink or snack and relax on the attractive terrace, in the shade of a palapa roof made of dried palm leaves. From there you enjoy a wonderful view on the salt lake, in which almost always flamingos can be seen. Donkey Sanctuary Bonaire is open for visitors daily from 10 AM until 5PM. Entrance is possible until 4PM. Your tour can be done by car, scooter of bike. Of course you can also make a walk through the park. Quads are not allowed. All in all, an enjoyable and informative attraction for all ages!